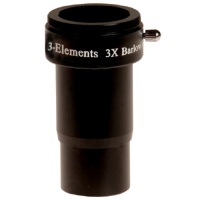 This high quality barlow lens doubles the magnification of a given eyepiece. It also features a direct SLR connection on the top of the barlow lens for either x2 imaging power or a handy 1.25" T adaptor. 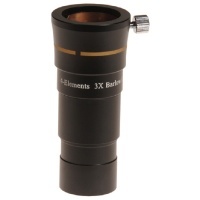 An absolute steal for this high quality versatile barlow lens. Got this for Astro photography what a great bit of kit . I used this with my Konus 500 and was amazed what a difference it made it has doubled my lens collection. I know have some stunning Astro pictures too. I would recommend this to anyone.